 The Coopers DIY Beer Craft Brew Kit includes everything needed to make 8.5 litres of craft beer. The brand new patented 15 litre fermenter allows you to brew great tasing beers quickly and simply. Designed to minimise yeast carry over and dramatically reduce cleaning time and effort. To see how easy it is to make great tasting beer at home watch our Craft Brew Instructional Video. See more products in Craft Brew Series.